They are often called ''rain forests of the ocean'', and are one of the most diverse ecosystems on earth. 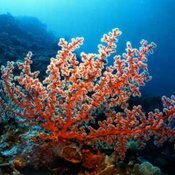 Coral reefs occupy less than only one tenth of one procent of the ocean waters. Which is about half the area of france, yet they provide home for twenty-five procent of all marine species. Including fish, mollucs, echinoderms and sponges. Coral reefs provide important habitats for seabird species, some even endangered. The midway atoll ( located in the North Pacific Ocean ) supports nearly three million seabirds, including two-thirds of the global population of Laysan Albatross, and one third of the population of black-footed albatross. They all have a specific site on the atoll where they nest. Altogether, seventeen species of seabirds live on midway. The short tailed albatross is the rarest, with fewer than 2,200 surviving after excessive feather hunting in the late nineteenth century. This shows us how important these coral reefs are to our earth. However reality is, that coral reefs are dying all around the world. ten procent of the world's coral reefs are already dead. sixty procent of the world's reefs are at risk due to destructive, human-related activities. particularly in Southeast Asia there is a strong threat, here eighty procent of the reefs are already endangered. Coral reefs face these dangers because of Coral mining, pollution, overfishing, blast fishing, ocean warming, ocean acidification ( increasing oceans PH ), diseases and the digging of canals. And these are only a part of the list. Luckily, there are MPA's ( marine protected area's ) that promote responsible fishing habitat protection. But even these MPA's have conflicts. Conflicts like lack of participation, clashing views and perceptions of effectiveness, and funding. 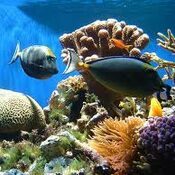 Biosphere reserves are other protected areas that may protect reefs. Also, Marine parks, as well as world heritage sites can protect reefs. World heritage designation can also play a vital role. For example the Chagos archipelago, Sian Ka'an, the Great Barrier Reef, Henderson island, the Galapagos islands, Belize's Barrier reef and Palau have been designated as protected by nomination as a world heritage site. However most of these organisations need your help to be able to keep protecting these wonders of the world.